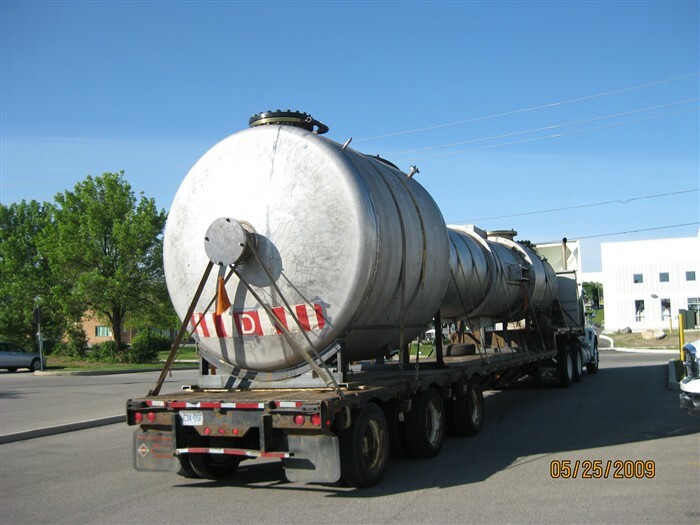 All types of pressure products, pressure vessels & heat exchangers. 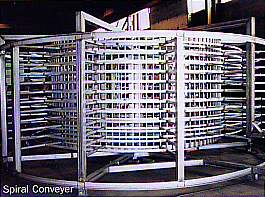 With 4 sets of Plate Rolls our tolerances / capacities are able to meet virtually all of your rolling needs. 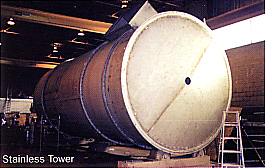 From cylinders for pressure vessels to towers and smoke stacks. 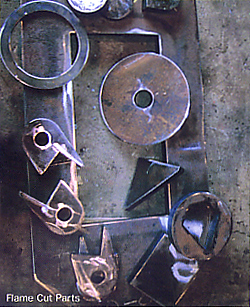 Need your plate formed? 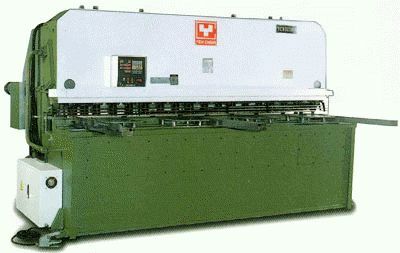 Our Brake Press with a maximum capacity of 1/2" thick x 192" wide can do virtually any job that you require. 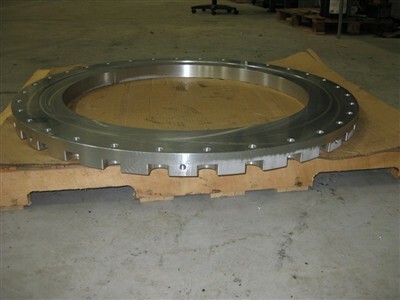 Special machined dies allow us to bend 2" plate by 72" wide. 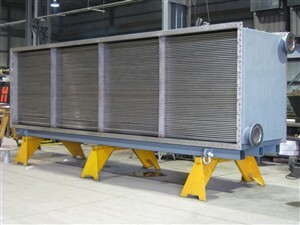 We have in house fabricating facilities and all the equipment necessary to get your project done right and on time. 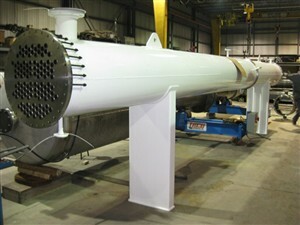 We fabricate your project to your specifications. See our Projects Page for more. 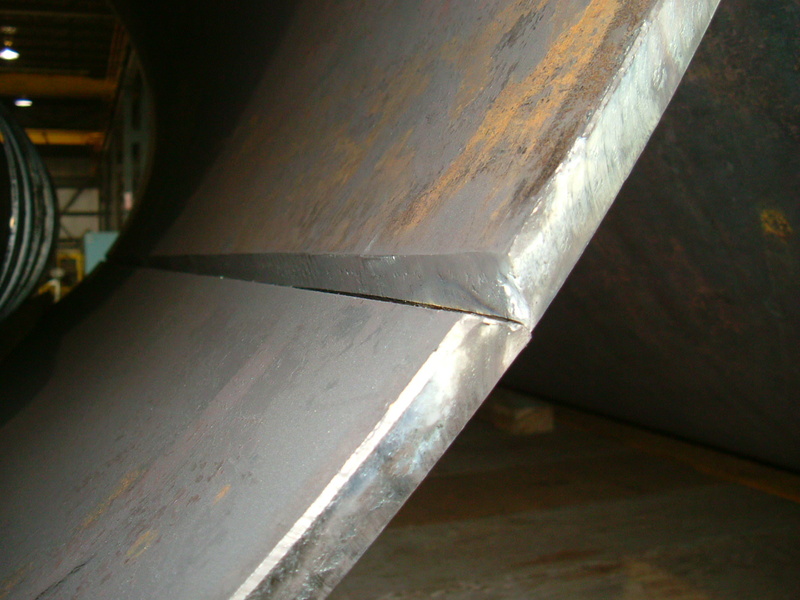 Whether it is the "Hard Way" or the "Easy Way," "Leg In" or "Leg Out" Brampton Plate can roll structural steel to meet almost any specifications. 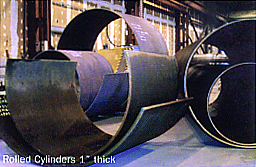 Also Rolling Square and Round Bar, HSS, Tubing and Beam (Mono-rail type). 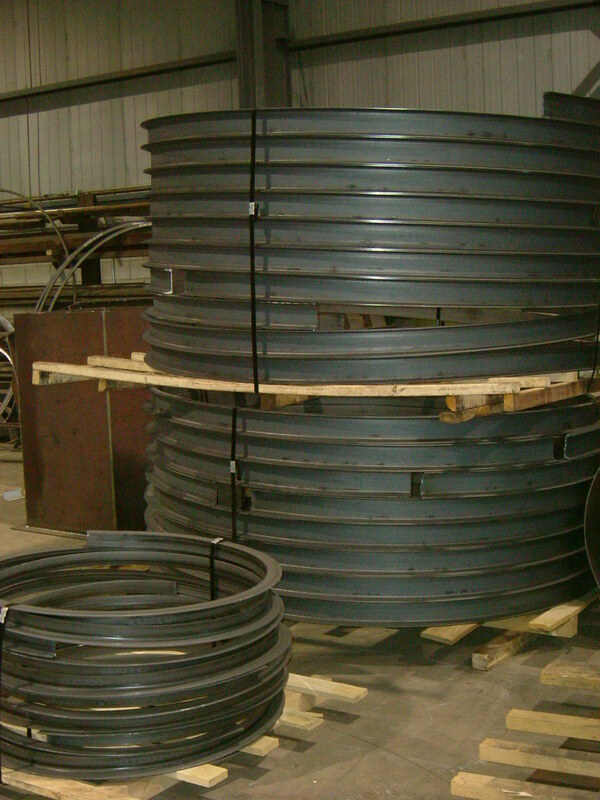 We stock most sizes of angle and flat bar. Plasma - Cut up to 2-1/2" thick this method of cutting gives you a more accurate and clean-cut finish. Ideal for stainless steel and precision jobs. High Definition - Cut up to 3/8" thick with a .10 thou tolerance. 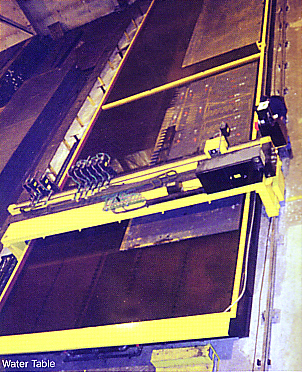 2 flame-cutting machines cut up to 5" thick CNC & Design CAD. In-house beveling allows us to perform weld preparation on plate up to 2" thick, freeing your time and making your job easier for you. Machining capacities: 96" x 165"
With our in house shear we can cut material to your specifications from 12ga to 1/2" by 144" wide. 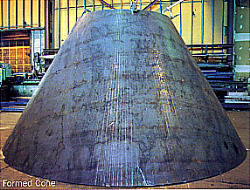 We are able to cut full size sheets down to any measurement you need. Saw - 13" x 10"